The Salt Cave of the Eagle is a unique health facility. 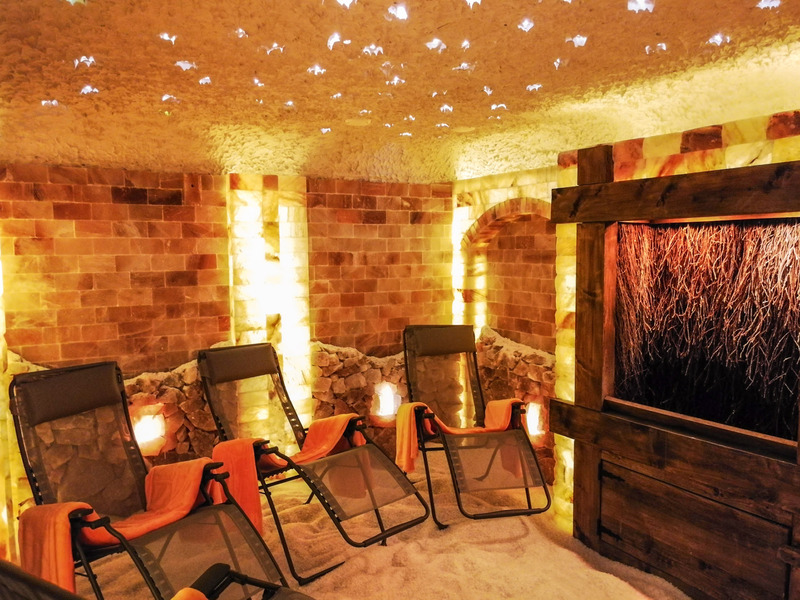 It is a room equipped with pure Himalayan salt, a graduation unit and an intensive oil nebuliser. This ensures a particularly healthy microclimate, which has a positive effect on the human body, mind and soul. Natural salt is also referred to as the "fuel of life" because it contains all of the vital minerals and trace elements such as magnesium, calcium, sodium, potassium and chloride that our body needs to live. In 45 minutes you will be put in a comfortable state of rest, which is intensified by soothing music and pleasant lighting effects. You can use the power of salt while relaxing comfortably on a lounger in the grotto. For children, a visit to the salt cave is a special experience, because they can play like on the salt beach. The effective salt climate also strengthens the immune system and the physical development of children.